Răzvan has been acting as a transactional lawyer for more than 15 years. During this time, Răzvan has been active in M&A and Privatizations, Banking & Finance and Capital Markets being involved in significant / representative deals for the local market. In his day to day activity Răzvan also advises on matters of Corporate & Commercial Law, Public Procurement & PPPs, and Energy and Natural Resources. Răzvan advises in a variety of M&A deals, including acquisitions, mergers and divestitures, cross‑border transactions, take-private transactions, joint ventures (including ventures involving Romanian public authorities), or privatizations. The M&A expertise also encompasses corporate governance and related liability advice for both public and private equity companies. Răzvan also advises financers, borrowers, underwriters, and issuers on domestic and international financings (acquisition finance, capitalizations, security taking and enforcement in Romania), capital markets offerings, structured products, derivatives, as well as the regulations of the financial & banking and capital markets fields. 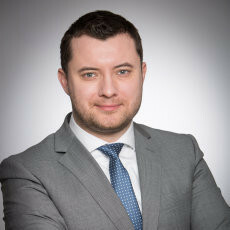 Răzvan’s clients include public and private companies ranging from blue chip multinational corporations to local companies, private equity and other financers, including venture capital, and sovereign funds, boards of directors of private, or public companies, as well as the Romanian State and other local ministries and public institutions. 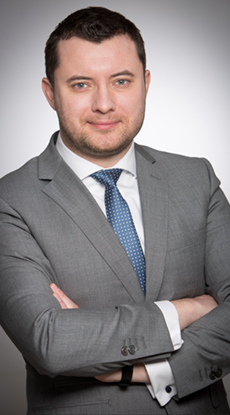 Răzvan is an arbitrator with the arbitration panel of the Bucharest Stock Exchange, and an insolvency practitioner. Between November 2016 and May 2017, Răzvan held the position of independent non‑executive member of the board of directors of the biggest listed Romanian natural gas company, SNGN Romgaz S.A., a company admitted to trading on the Bucharest Stock Exchange, and with GDRs trading in the London Stock Exchange, with a market value of EUR 2.5bln. One of the largest shipbuilding groups in the Netherlands in their acquisition of one of the most important shipyards in Mangalia, Romania (over €500 million transaction value), and in their negotiation and entry into a joint venture with the Romanian state for the operation of the shipyard. The mandate covered legal advice on all matters of Romanian law regarding the deal, from its early stage of structuring, to negotiation with all parties involved (seller and the Romanian State), and actual implementation. A Czech group in their acquisition of one of the largest pharmaceutical groups in Romania (estimated over €300 million transaction value). The mandate required coordination of the transaction in all its phases, including due diligence on over 30 companies within the group, drafting and negotiation of transaction documentation with cross-border implications, various competition related issues, and all jurisdictions involved, Romania, Czech Republic, Slovakia, Poland, Netherlands, Hungary, Bulgaria Cyprus, Serbia, Azerbaijan, Georgia and Italy. A global telecommunications equipment giant listed on Euronext Paris and New York Stock Exchange, in connection with various capital markets regulatory issues, following the acquisition by another global leader in mobile networks, digital health and phones, through public share swap offerings. A global leader in mobile networks, digital health and phones, in connection with various corporate, and capital markets regulatory issues concerning the consolidation of the group’s operations in Romania, following an international share swap offering. A leading US-based investment company on Romanian securities law and their application to the structured securities programmes of such company, and its subsidiaries. A number of top US banks, in connection with the custody of securities and other assets in Romania, and risks related in case of insolvency of Romanian custodians. One of the largest investment funds in Romania, listed on the Bucharest Stock Exchange (BSE), on all legal matters concerning its portfolio of shareholdings (which includes listed blue-chip companies active in the banking, pharma, energy, manufacturing and construction sectors). One of the largest utilities providers in Romania on corporate governance matters, conflict of interests, intra-group dealings, directors liability and shareholders interactions. A Maltese group in the acquisition of one of the most renowned fast food chains in Romania (estimated over USD65 million value). The largest natural gas producer in Romania, as issuer, in an initial public offering by the Ministry of Economy through the Department of Energy of 15% of the company’s shares, admission to trading on the Bucharest Stock Exchange and the simultaneous listing of global depositary receipts with respect to such shares on the London Stock Exchange. By means of this IPO, Romania raised almost RON 1.7 billion (€390 million). A leading international manufacturer of glass and plastic products on a high yield bond offering of €250 million – 8.25% Senior Notes due 2018 by its wholly owned subsidiary. The notes are guaranteed on a senior basis by the client and certain of its subsidiaries. Additionally, he advised the client on its entry as guarantor into two new €25 million senior revolving credit facilities. Two leading global investment banks as initial purchasers in a high yield bond offering of €245 million Senior Secured Notes by the financial subsidiary of a leading Central European chemicals company. The Romanian State in connection with two Eurobonds issues totaling € 1.750 bln.